A YEAR OF JUBILEE REVIEWS: Can You Eat As Much Fruit as You Want When Following Nutrisystem? Can You Eat As Much Fruit as You Want When Following Nutrisystem? There is little doubt that fruits and vegetables are an integral part of any diet plan. They provide the nutrition you need without overloading calories. This is why most commercial weight loss programs available online have fruits and vegetables as key food items in their plans. Same is the case with Nutrisystem. There is no Nutrisystem diet plan that doesn’t include a generous quotient of fruits and vegetables. Yet, some people are under the impression that they can eat as much fruit as they want. The interesting thing to note here is that you would hardly find anyone asking whether they can eat as many vegetables as they want. 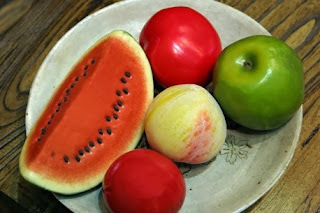 The question is almost always related, to fruit and why not. There are numerous options to choose from. Also, fruits are healthier and more palatable when compared with vegetables. The main reason why people want to eat fruit while following Nutrisystem is that they have to restrict the quantity of sweet treats they consume. You cannot lose weight if you are devouring desserts and candies, can you? But that does not at all mean that you can eat unlimited quantities of fruit. The idea behind Nutrisystem is to help you lose weight and keep it off. If you eat fruits that are high in calories, you will end up putting on the weight you have lost. The only reason why this is the case is because fruits have a high quantity of natural sugar. Even though natural sugar is not as harmful as the processed variants, it is sugar nonetheless. You cannot consume too much of any food item that has a high glycemic index, regardless of how healthy it is. That being said, this doesn’t mean you cannot eat fruit at all. You can eat up to three servings of fruits every day. You will see in the diet plans that this is laid out clearly. Moreover, you can make the servings generous. The only catch is that you have to limit yourself if you feel like having fruits that are high in starch or natural sugar. This is why the servings vary by the type of fruit you choose. One serving equals one banana or one apple. However, in the case of berries, like strawberries, blueberries and raspberries, one serving is a whole cup. Choose your fruits wisely and you won’t have any fruit cravings. What you can also do is to limit the quantity of vegetables you eat. As veggies aren't meant to be partially substituted by the Nutrisystem food, you can lower the quantity of veggies you eat and eat more fruits while you are on Nutrisystem. You can find more information about the meals you can select and how to save money on Nutrisystem products here. The bottom-line is that you can eat a lot of fruit but not an unlimited quantity. Therefore, be careful what you choose to believe when on a Nutrisystem diet plan. Look up the necessary information online before making the decision to eat something that’s not on the meal plan. Along with the Nutrisystem food, you will receive a Grocery Guide that explains what fruits, vegetables, and dairy you can eat, and in what amount, while you are on the program.